SANTIAGO – All Chilean teams picked up points in this week’s Copa Libertadores. 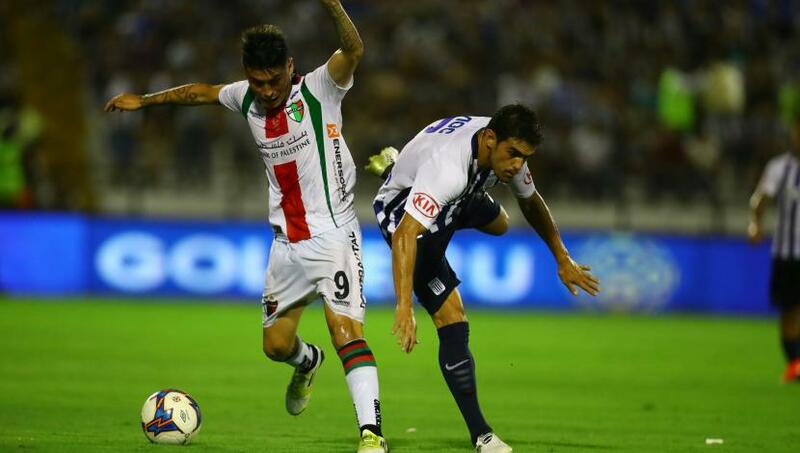 Palestino dominated Alianza Lima to win 3-0 in a near perfect performance, Universidad Catolica put in a professional display against Gremio to win 1-0, and Universidad de Concepcion managed a point in a somewhat dull 0-0 draw at home to Godoy Cruz. The results mean that each of the teams stand in 2nd place in their respective groups and stand a good chance of progressing to the knock-out stages at the half-way stage of the mini league. This is perhaps especially incredible for Palestino who share a group with Internacional, Alianza Lima and River plate (the competition holders). They will certainly feel happy sitting in 2nd place above last season’s winners but may feel that they could be with even more points if they had taken chances in winnable match against Internacional at the start of the competition. Against Alianza Lima on Tuesday night, Palestino showed only glimpses of the missed chances that they experienced against Internacional at the beginning of the tournament or in the Super Copa final 5-0 defeat to U. Catolica. In the first half hour and after a few good chances there was a worry that Palestino might again let a winnable match slip, but luck was on Palestino’s side as Ducios of Alianza Lima and Ahumada of Palestino slid for the same low crossed in shot resulting in the ball finding the goal. Originally claimed by Ahumada the goal was later awarded as an own goal from Ducios. The first half finished 1-0 and Palestino went into the break looking comfortable. The second half was all Palestino’s. Following the dismissal of Ramirez in the 49th minute for a late challenge, Alianza were down to 10 men and they never looked like recovering. Passerini who had an excellent match, with fantastic hold-up play throughout, double Palestino’s lead on 64’ and Ahumada confined the visitors to defeat in the 77th minute with a neat flick up and left foot finish in to the top left corner. The fact he had time to flick the ball on to his left on the edge of the box said a lot about the defending from Alianza in the second half. Palestino with the man advantage wore their opponents to the group with slick passing and energetic displays from Ahumada and Fernandez especially. Palestino didn’t seem to miss their star man Jimenez as some expected and now find themselves in a real position to progress to the knock-out stages. Their next match in Brazil against Internacional next week will almost certainly be a stronger test. John is a volcanologist, sports fan, radio broadcaster, and accomplished musician. Born and raised in Britain, he has travelled extensively for his research on volcanoes. Whilst living in London, UK, John performed in the punk bands ‘And Now We’re Even’ and ‘Filthy Militia’ recording six studio albums and two EP’S over this time. He currently lives in Santiago, Chile where he works as a university professor in rock mechanics.